Barkingham Palace Services - BARKINGHAM PALACE... WHERE YOUR PET IS TREATED LIKE ROYALTY! All suites have ceramic tile floors, Comfy Beds and PVC vinyl walls with 15 foot ceilings...So your pet will never feel caged!! 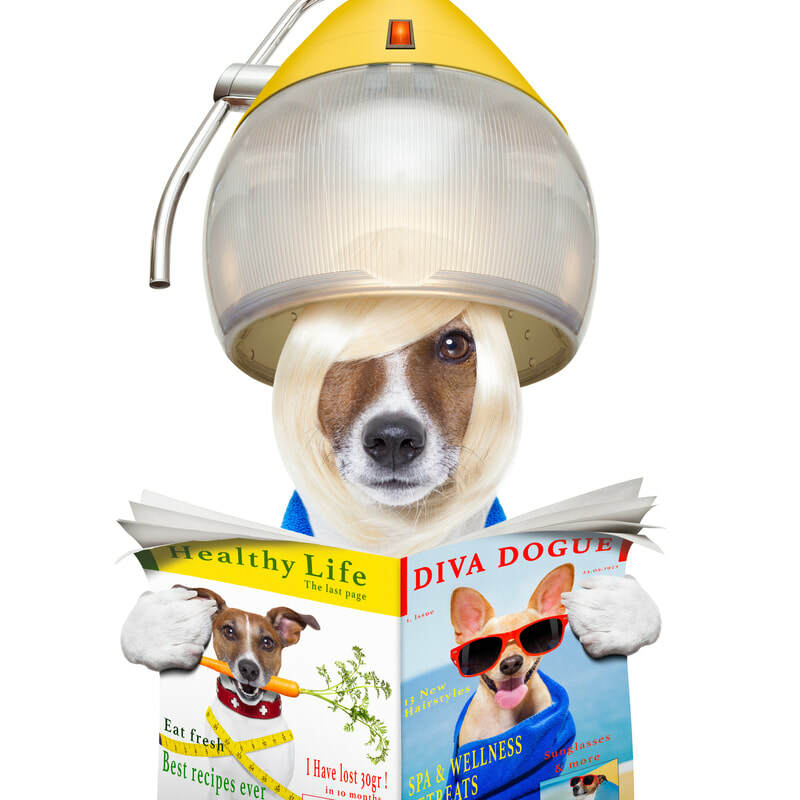 ​We offer modern dog grooming facilities with professional stylists that boast over 40 years of experience. Your pampered pet will always go home looking and feeling great! Full grooming and bathing services are offered 6 days a week by appointment, or can be scheduled with day care or boarding. Your pet will spend the day in exercise and play with other carefully screened dogs under the supervision of specially trained counselors. Our 6,000 square foot climate controlled facility offers 3 spacious indoor play areas for small, medium and large dogs filled with toys, friends to play with and comfy lounge beds.